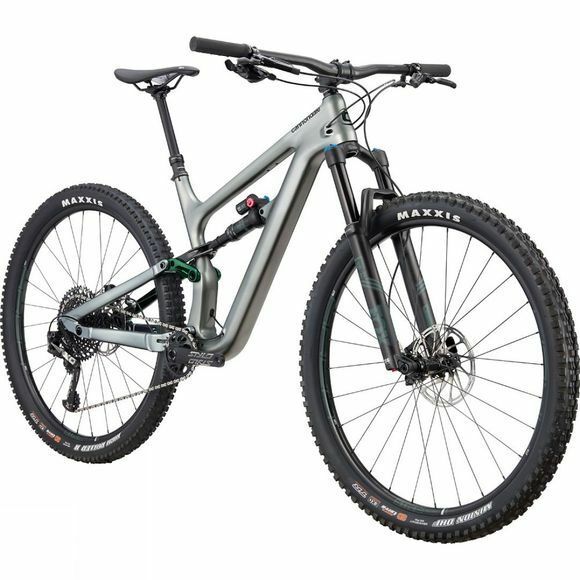 Cannondale's revolutionary Habit Carbon 2 2019 is a mountain bike for riders who want to be able to destroy every climb and crush every descent. This is the perfect Habit for anyone who wants a high-quality, carbon mountain bike. Every element of the design is focussed on ensuring that your mountain biking experience is as entertaining as possible. 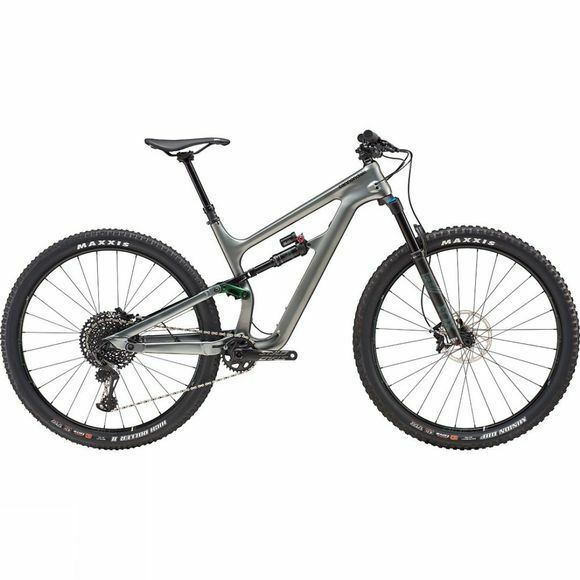 With a Modern Trail Geometry and the one-of-a-kind Proportional Response suspension design philosophy, this bike gives the rider complete command of any trail. The Habit's geometry makes it ready to ride thanks to some properly wide bars, a short stem, powerful SRAM Guide T hydro disc brakes, a Sram 1X Eagle drivetrain and a dropper post, obviously. The 66 degree headtube angle and a steep seattube angle also puts the rider in the right position for when the trails head up, and gets the saddle down low and out of the way when it's time to get down. The SmartForm C1 Alloy frame is strong and durable making this a reliable bike. Equipped with 29" wheels, big grippy Maxxis tyres and 130MM of travel front and rear, the Habit is built to tame unruly trails everywhere. The Ai offset rear end shifts the rear triangle and paves the way for the Habit to have 435mm chainstays. This makes a bike that is more nimble and capable in corners while still having loads of tire clearance and stiffness. The size specific design of this bike comes from Cannondale's Proportional Response suspension design philosophy. Through months of rigorous testing and utilizing size-specific Centre-of-Gravity (COG) data, the Habit has optimized kinematics for all. This basically means that the bike's suspension was engineered to suit every size rider so that everyone experiences optimized suspension performance while braking and improved overall pedalling efficiency. Rear Shock–Fox Float Performance Elite DPX2 EVOL, 130mm, 3-Pos adj.